This customer was not interested in a standard garage package. He wanted a unique look to match his existing home, as well as, fulfill his future needs. The homeowner was hoping to get a 12' high garage door in the Gambrel end of his building, but still wanted to keep 10' walls. He wanted to drive a tractor straight in with enough clearance. 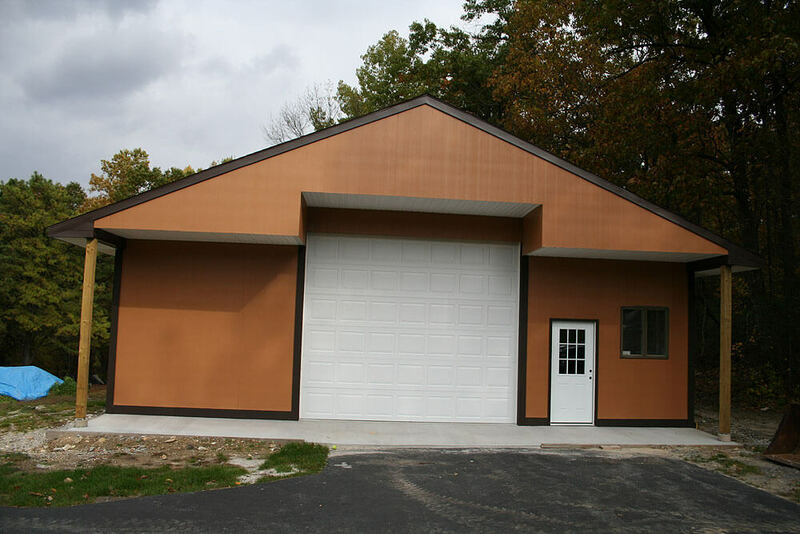 APM Truss designed a Trey Truss, which allowed for enough headroom for the 14x12 Wayne Dalton garage door to roll up. 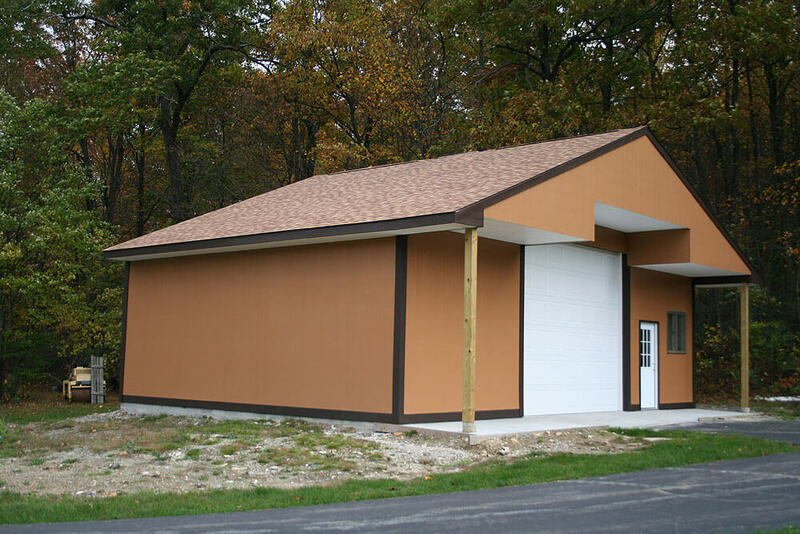 Primed Hardi Siding was used for the walls, which the customer then painted to match his home. PVC trim boards (Versatex) were used to accent the building. Lifetime architectural shingles were used on the roof, which also match the existing house. The customer ran the trusses 4' out past the main structure for extra space out of the weather. The white soffit makes a great finishing touch under the Gambrel overshot.